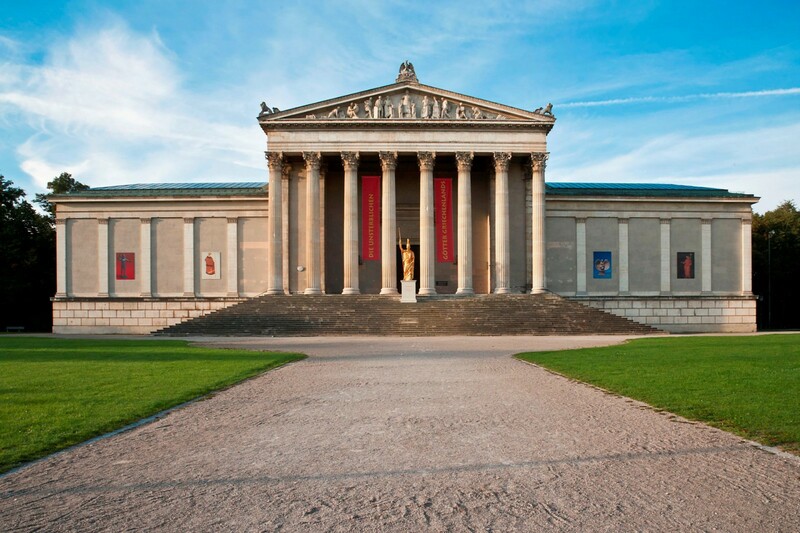 Munich‘s museum of ancient sculpture wasn’t a place that I regularly frequented before November 2014, so I discovered once again that attending grammar school for such a short time, with so little passion, was kind of a mistake. 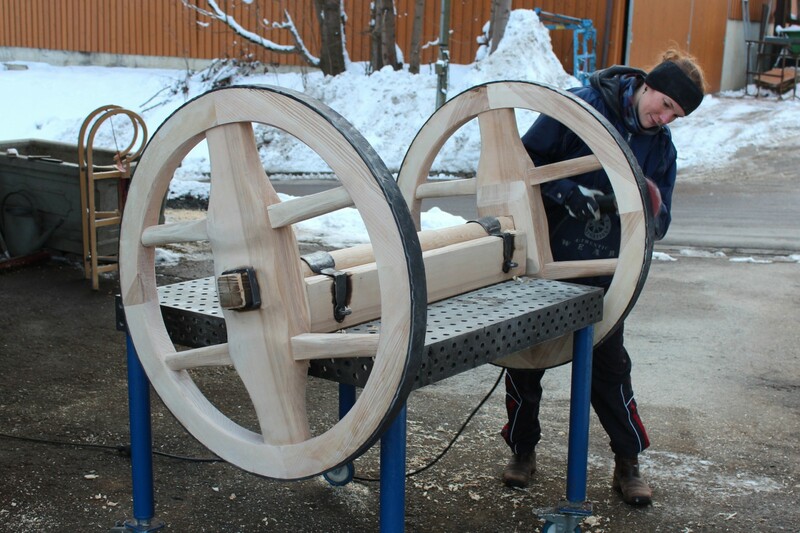 “We‘re going to build an Etruscan chariot and it’s supposed to look pretty much like this!” Professors, archeologists, scientists, artists and sculptors greeted me very friendly in the workshop of the “Glyptothek” in Munich and wanted my advice on the practical side of the project. If I’d known how exciting this sort of stuff was, I’d have gotten involved earlier. My first step was digging in my memory for some school history basics and then we all started the research and planning. The amount of productivity was sometimes modest and time spent thinking long. Even today it’s a mystery how the Etruscans managed to drive around corners. The parts I contributed to the final product were the wheels, axel and drawbar. 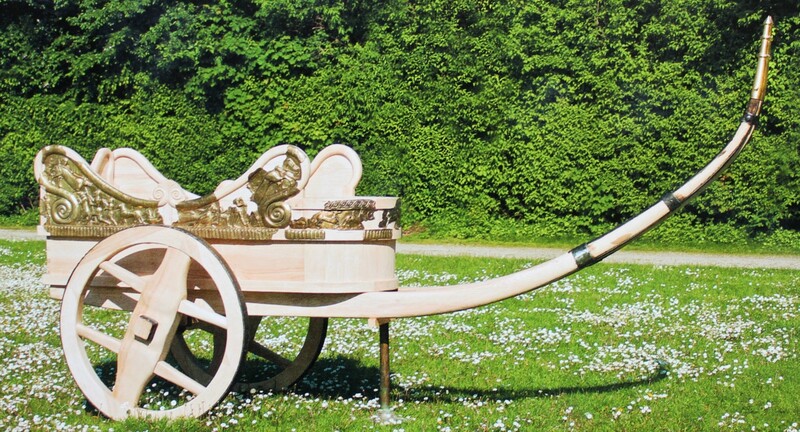 Most of the wagon was built by Mr Herzog, who is the resident sculptor at Munich’s museum of ancient sculpture. The exhibit about the life of the Etruscans took place from Spring to Autumn of 2015. I’m grateful to the people at the museum for allowing me to participate on the project. It was truly an honor. ... It's supposed to look like this ! One of the many think sessions ! ... this is how it turned out.